Hull Humberside northern England. Working class neighbourhood. 1980s Unemployed young fishermen UK. 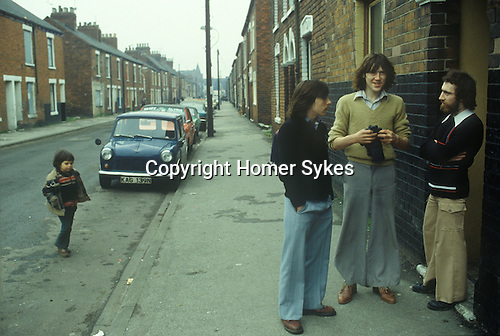 Eton Street, Hessle Road area. Street name thanks to George Norris.